Chicago-based Sue Gin founded global catering company Flying Food Group(FFG) in 1983, after being served a half-frozen sweet roll on a domestic flight and vowing to do better. Starting small at Chicago’s Midway Airport (now Midway International) with one local airline customer and a single kitchen, CEO Sue Gin spearheaded FFG’s steady growth for over three decades.Since her death in September 2014, an experienced FFG leadership team has expertly guided the company. Today, FFG is an industry leader, producing over 100 million meals annually from its network of 22 facilities that stretches from Honolulu to New York City. Customers include over 70 of the world’s leading airline customers—primarily international—plus key retail partners. About UsFlying Food Group, LLC. is a large-scale airline catering company that provides top-tier passenger meals and in non-airline catering snacks for over 70 leading airlines and high level retailers nationwide. Flying Food Group produces exceptional food destined for multi-market destinations like airline, grocery, food service and specialty markets. FFG furnishes food primarily for international carriers. Flying Food Group is dedicated to quality and safety delivering unsurpassed products that exceed customer expectations. Flying Food Group, LLC. succeeds by meeting and exceeding customer expectations, based on a responsive, entrepreneurial model and tight team approach. Focused creativity has inspired Flying Food Group’s success, and is a hallmark of the company’s continuing service to every valued customer. 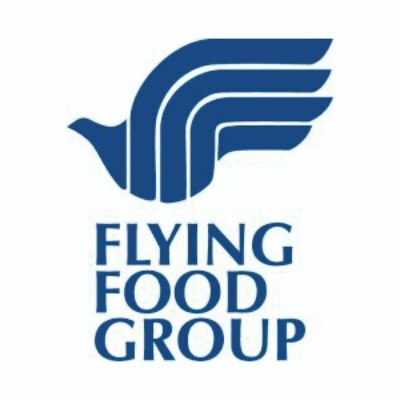 Flying Food Group makes regional dishesThe company is known for creative fresh prepared products and airline passenger meals that reflect the culinary expertise of skilled executive and production chefs. FFG’s talented, multi-ethnic chef staff provides creative culinary solutions in a wide variety of cuisines, including American, Chinese, French, German, Halal, Italian, Indian, Japanese, Korean, Malaysian, Thai and Turkish. FFG employs efficient, highly motivated management and support staff along with time-tested production systems to guarantee the safety, quality and efficiency of every aspect of food production, delivering optimal results for every valued customer.